Maritime Museum in Orebic in was founded in 1957. 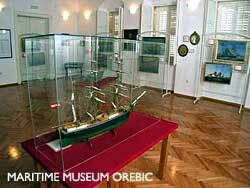 It displays various historical artefacts of local Orebic’s and Peljesac History. It has archaeology department that displays Roman, pagan and Early Christian artefacts from everyday life and some fragments of artwork. One of the displays in the museum are also fragments of the wall painting at Early Christian Church from 5th Century that are found at Majsan, the island in Korcula Archipelago. These fragments of glass jars, wall paintings, bronze artefacts, buckles, Byzantine and medieval coins and other small objects of church, household and fishermen’s use found in the ruins on island of Majsan from pre-history till 11th century. They belonged to the pagan villa, early medieval monastery and church. 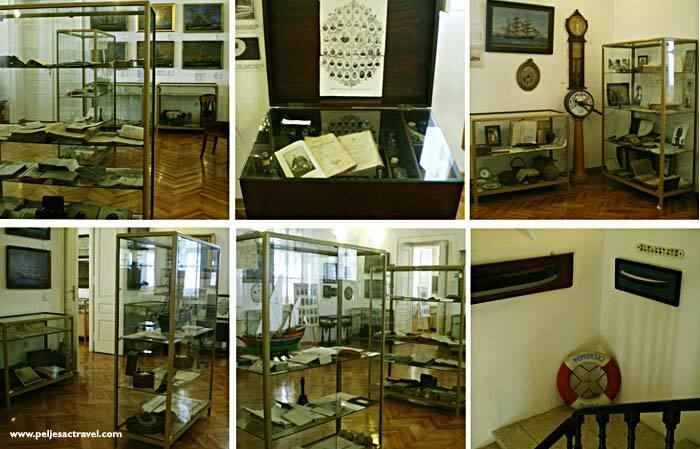 Museum also contains paintings of old sailing ships that were owned by Orebic families, shown on voyages and in combat with pirates from 17th to the end of the 19th century.